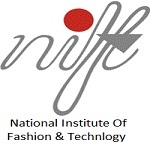 NIFT stands for National Institute of Fashion Technology. It is a registered university by the government of India. National Institute of Fashion Technology is the conducting authority of the NIFT entrance exam. It conducts an entrance exam at the national level. It conducts the entrance exam once a year. Applicants need to appear for the entrance exam to get admission in the university. 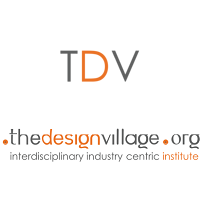 This university offers admission to applicants who want to apply in undergraduate and postgraduate courses in the field of fashion and technology at the professional level.T his entrance exam is organized to offer admission into Bachelors of Design, Bachelors of Fashion Technology, Master of Fashion Technology, Master of Design, Master of Fashion Management, etc. Applicants who score well in this entrance exam get the opportunity to get admission in B. Des, B.F. Tech, M. Des and MFM course.T he university also conducts creative ability test (CAT) and general ability test (GAT) to offer admission to the applicants. From the year 2019, the application fee for General/OBC – NCL has been increased to Rs.2000 from Rs.1500. For SC/ ST/ PWD candidates fee is increased to Rs.1000 to Rs.750. The application form will be available in online mode only on the official website of the university in the month of October. Candidates have to fill the application form before the last date that is expected until the fourth week of December 2019. There are no other options to purchase the application form. Applicants need to fill the application form as required. After filing the form successfully, applicants are advised to take a printout of the duly filled application form for further usage. Applicants can pay the application fee in both online (debit/credit card or net banking) mode and offline mode (DD). In case of offline mode, the DD drawn should be in favor of “NIFT HO” payable at New Delhi. In case candidates have made mistakes while filling the application form, the corrections can be made after the opening of the application correction window. The Application correction is expected to start from the last week of December 2019 to 1st week of January 2019. Applicants should be below the age of 23 years (28 years for SC/ST/PWD category) for applying for B. Des course. University has not yet decided any age limit for the applicants applying for the PG course. Qualifying Exam: Candidate must have passed his/her 10+2 level degree from a recognized board or university. Qualifying Subjects: Candidate must have qualified with the subjects of Physics, Chemistry, and Mathematics. Qualifying Exam: Candidates must have passed his/her 10+2 level degree from a recognized board or university. Qualifying Exam: Candidates must have done their Bachelor’s degree in F.Tech from NIFT or B.Tech/B.E from a recognized institute or university. 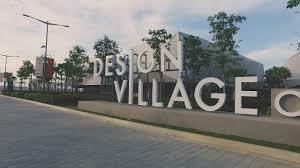 Should have done UG Diploma in UG design of a minimum of three years from NIFT or NID. Applicants who have completed the HSC exam and is a three years or four years diploma holder are eligible to apply for B. Des exam. Applicants who have passed an undergraduate degree in any discipline are eligible to apply for M. Des / MFM course exam. Applicants who have completed B. F. Tech or BE/B. Tech course from a known university or institute is eligible to apply for the M.F. Tech course exam. Applicants who are in process for the final year are also eligible to apply for the exam. Mode: The entrance exam will be organized in offline mode (pen-paper based test). Papers: There will be two papers in the entrance exam – CAT and GAT. Duration: The entrance exam will be conducted for two hours. Negative markings: the Incorrect answer will not deduct any negative markings. Sections: The question paper will have five sections. Quantitative ability, Communication ability, English comprehension, Analytical ability, General knowledge, and Current Affair. Exam Mode and Date: NIFT 2020 exam will be organized in the third week of January 2020 through Pen and Paper (offline) mode. Number and Type of Questions: The question paper will contain multiple choice questions, and the number of questions will vary for various programmes. Time Duration: For the B.Des and M.Des entrance test, 2 hours will be provided to complete the paper. For B.F.Tech, M.F.Tech and MFM entrance exams, 3 hours will be provided. Sections: The exam paper will contain various sections like – Quantitative Ability, Analytical and Logical Ability, English Comprehension, Communication Ability, Current Affairs, and General Knowledge. Marking Scheme: There will be no negative marking in the exam paper. The entrance exam will be divided into two sections: CAT and GAT. The main aim of CAT paper is to identify the ability, power of observation in concept development and design ability of the applicants. The paper also identifies the creativity and innovative use of color and illustration skills of the applicants. Make a proper study schedule and review complete details of the exam before starting the preparation. Note down all the important points, concepts or formulas at one place. Analyze your exam preparation level by attempting mock tests. Practice by solving sample papers or past years question papers. Revision is a necessary part of your study so revise all your prepared notes at the end of each day. Study for the exam from a study material mostly recommended by experts or qualified students. Admit cards of the applicants will be released in online mode on the official website of the university.Applicants can visit the website in January 2020 to get the admit card online.Applicants need to download the admit card from the website using the application number and then take a printout of the same for further reference.Applicants will not receive admit card by post, email or in person from the university. 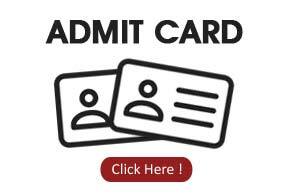 Admit card is a mandatory document to carry at the time of examination. Results will be available for the applicants who have appeared for the entrance exam. Results will be released in online mode on the official website of the university in February. Applicants are advised to download the results and take the printout of the same for further reference. Authority will conduct a group discussion, situation test for the applicants, after the declaration of the results. To check the result online and download the scorecard, students have to enter their application number, roll number, and date of birth. The details in the scorecard will mention the name of the candidate, date of birth, roll Number, application number, scores obtained in CAT, GAT and Situation Test, total marks, rank, qualifying status etc. Authority will conduct a counseling session after the declaration of the results. Applicants have to attend different rounds like an interview, group discussion, and situation test to get admission in the university. Applicants need to carry the required documents at the time of counseling for the verification completion of the counseling session, applicants will get seats by the rank, seats available and performance in the rounds. At the time of counseling, document verification of the candidates will also be done.